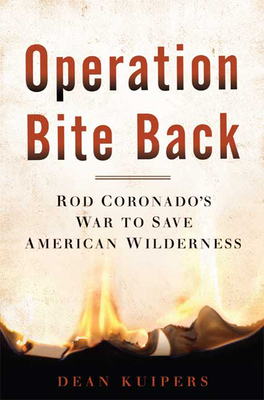 Rod Coronado was already one of America's most notorious radical environmentalists when he launched Operation Bite Back, a war on fur farming that left a trail of burned-out labs and farms across the country and made him the subject of an intense, years-long FBI manhunt. Now his legacy has made him part of a legal battle over whether or not radical environmentalists should be prosecuted as terrorists. With unparalleled access, Dean Kuipers takes us deep into the heart of the campaign that helped give rise to the Animal Liberation Front and its spin-off the Earth Liberation Front, groups of anonymous eco-radicals responsible for over twelve hundred acts of sabotage and a billion dollars in damages and now among the FBI's top domestic terrorist priorities even in the wake of 9/11. From his teenage association with the Sea Shepherd Conservation Society and Earth First to his brazen arson campaign to his reconnection with his Native American heritage among the Yaqui, Coronado's story redefines what it means to be green. Neither a biography nor a polemic about animal rights, "Operation Bite Back "tells the outlaw tale of a man who acted on well-defined principles and put his life on the line for an environmental movement that was ultimately forced to turn its back on him. Dean Kuipers is an editor at the Los Angeles Times. He has been an editor at Los Angeles CityBeat and Spin and is a longtime writer on the radical environmental movement. He is the author of Burning Rainbow Farm, a 2007 Michigan Notable Book. He lives in Los Angeles.